Quality components. Safely integrated. Easy to use. Multi-purpose. Heavy duty. Maximum survivability. 4 April 2019 - International Mine Awareness Day. GCS makes a difference. With over 100 million mines continuing to threaten the lives of people in over 78 countries, mine action still has a long road ahead. GCS upholds the UN International Day for Mine Awareness and continues to remove landmines, improvised devices, cluster munitions and unexploded bombs all over the world. Whether in Libya, Chad, Iraq or Colombia, our experts make a difference every day. This week, our team is in Croatia, putting our leading-edge GCS mechanical demining solutions to the test. For the last three days, the “Afghanistan Donor workshop” hosted by the Geneva International Centre for Humanitarian Demining (GICHD) took place in Geneva. Our Head of Operations, Ashley Williams, and our Head of Services, Fabian Klauser, presented GCS’ solutions and latest project references during the session on “New technologies and methodologies for operational efficiency”. Lately rather neglected from the media, Afghanistan still faces enormous challenges regarding mine contamination with massive impact on civilians. Global Clearance Solutions (GCS) got off to a busy start this year: In January, the German Army delivered the first of seven complete MineWolf systems to our factory in the South of Germany for regular overhaul work. Our booth is finally set up and we're ready! Come and visit us at the Swiss Pavillion (Hall 8, Booth B26) at the IDEX in Abu Dhabi from 17 until 21 February 2019. Get exciting insights into our latest technical developments and have a talk about your current and potential requirements. We're looking forward meeting you there. On 5 December 2018, the Industry Day hosted by the Military Engineering Centre of Excellence took place in Ingolstadt, Germany. The event provided a unique platform where military experts from NATO countries met companies and enterprises to share experience and knowledge to improve capabilities, products and services in the field of Military Engineering. 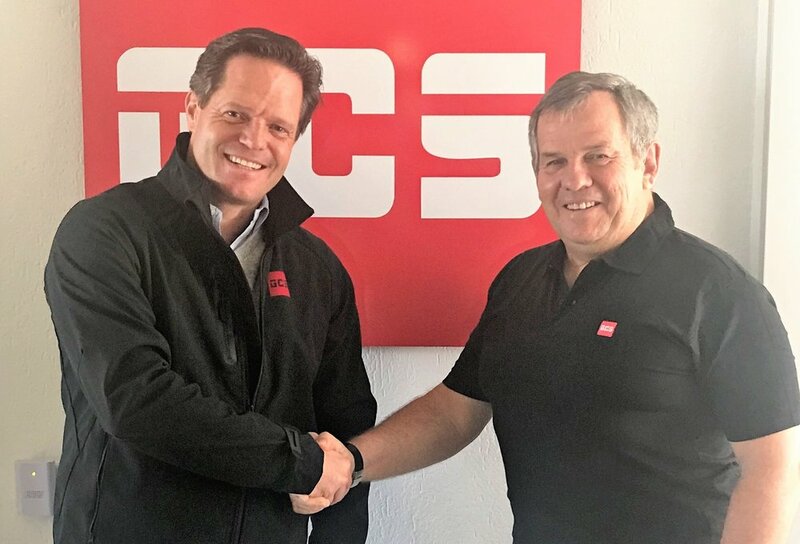 We are glad to announce that we have expanded the GCS team with another seasoned industry expert: Kevin Kneebone (48) will lead GCS’ operations in Iraq as Country Director. He was the Managing Director of Bactec for 7 years and has implemented many successful land and marine clearance projects since 2003. GCS has taken on board one of Mine Action's recognized experts to further strengthen its operations: Ashley Williams (62), former CEO of Mechem, has joined the GCS team as Head of Operations as of October 1st. 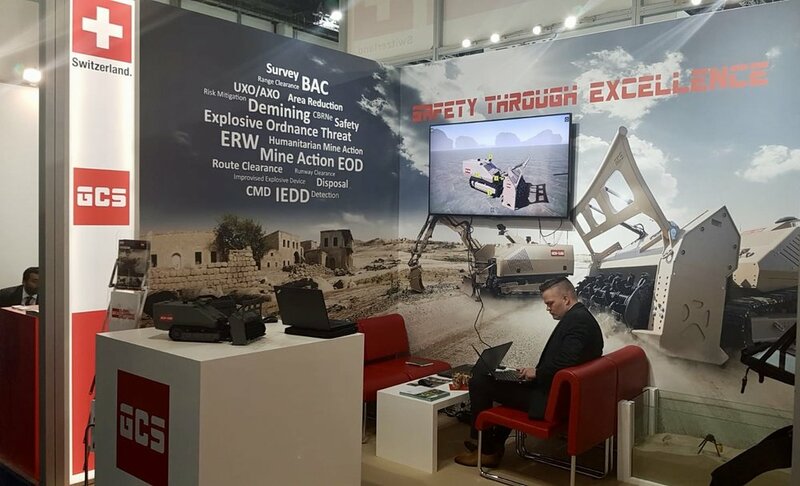 Williams' expertise and track record will serve to develop new business opportunities and establish GCS as a full solution provider in the EOD and mine action sphere. GCS, a leading provider of safe, cost-effective and reliable solutions for explosive ordnance disposal, took part in the NATO EOD Demonstrations and Trials, which was held in Bratislava within 19–20 September 2018. Over 360 participants representing 22 different countries viewed presentations by 37 exhibitors from 17 nations about their bomb disposal services and products. 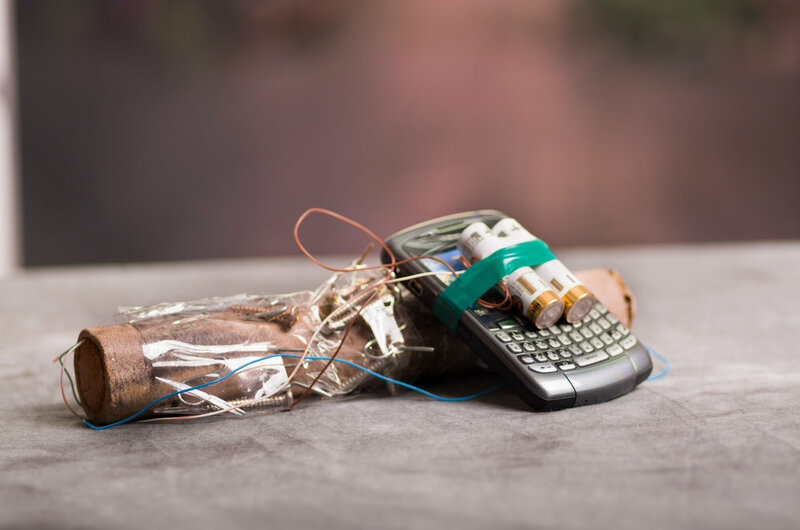 Watching exciting live demonstrations and comparing common experiences with current needs and technological developments were the event’s main focus points, following this year’s overarching theme “Multidisciplinary Approach to EOD”. High-ranking visitors from all over the world took a great interest in GCS’s modular products and customised services. We would like to thank all visitors for coming to see us at EUROSATORY 2018 in Paris and we look forward to seeing you again very soon. Whatever your challenges are GCS is happy to assist you with our team of expert to find the most suitable solution. Treffen mit Gyde Jensen, MdB, Vorsitzende des Ausschusses für Menschenrechte und humanitäre Hilfe des Deutschen Bundestags. Am 18. Mai 2018 fand ein Gespräch zwischen Gyde Jensen, Bundestagsabgeordnete und Vorsitzende des Ausschusses für Menschenrechte und humanitäre Hilfe und Philipp von Michaelis, CEO von GCS, statt. Beide tauschten sich über die humanitären Anforderungen bei der Minen-, Kampfmittel- und Sprengfallenbeseitigung in Krisenregionen aus. Insbesondere standen die enormen Anforderungen im Irak und mittelfristig auch in Syrien im Fokus. Wednesday, April 18, 2018. 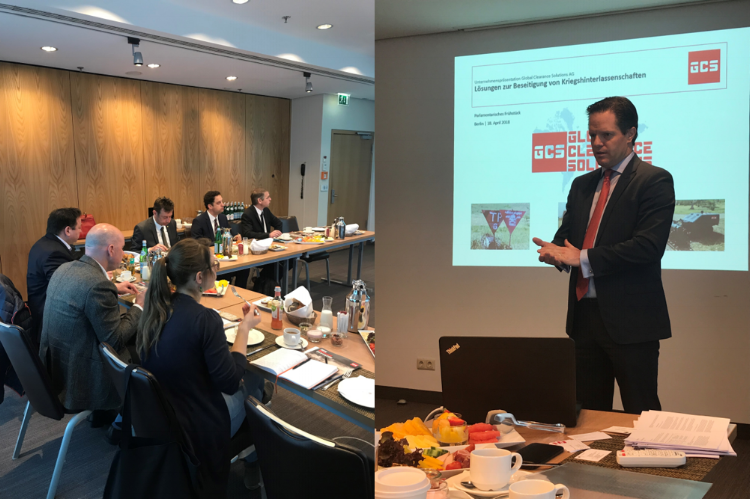 – Philipp von Michaelis, CEO of GCS, held a breakfast presentation on the current mine contamination in Iraq and Libya to members of the German parliament in Berlin. GCS demonstrated its capabilities and references and presented a general requirement for implementing concrete measures for the sustainable achievement of goal in humanitarian mine action, as well as the tendering process and the awarding of public contracts. The need for an efficient alignment between clearance/disposal of explosive remnants of war (ERW), including landmines, improvised explosive devices (IEDs) and cluster munitions with the reconstruction of former conflict zones and capacity building was also presented and discussed during the event. "We at Global Clearance Solutions support the mine action community every day to make this planet a safer place!" 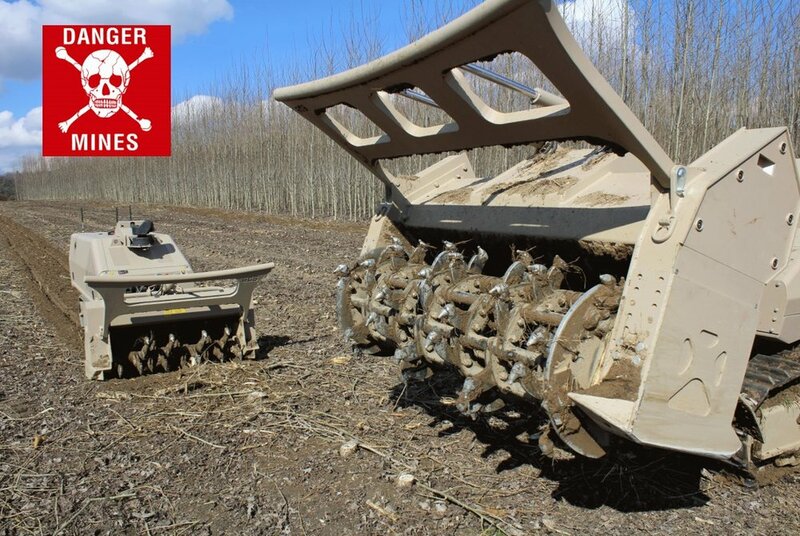 Engineering, Production, Sales, Services, Operations, Purchasing and Logistics for mechanical solutions for the disposal of landmines, improvised explosive devices (IEDs) and other remnants of war. Subscribe to our GCS newsletter and stay up-to-date on all relevant news. Thank you for subscribing to our GCS newsletter! Your e-mail address will only be used to keep you informed on the latest developments.